Wards Auto has named the 2018 Honda Odyssey one of its 10 Best UX Winners. UX refers to the user-friendliness of the driver interfaces. Are navigation systems easy to program? Are the driver-assistance technology systems dependable? Do the connectivity features allow drivers to safely and easily access text messages, phone calls, and emails while on the road? For the Honda Odyssey, the answer is a resounding yes. The 2018 Honda Odyssey was recognized on the Best UX list thanks in part to its steering wheel, which puts many of the controls right at your fingertips. Drivers can change settings, access content or messages on their phone, and much more all without having to take their hands off the wheel or their eyes off the road. And in a minivan, when you are carting around precious cargo, staying focused, alert, and dexterous is very important. This wonder of a minivan is a heroic companion on the road—whether you’re in charge of the carpool or on a weekend trip across the state. Loaded with features inside and out that bolster comfort and ensure everyone can stay entertained and relaxed, as well as convenience features that make life a little easier and more hassle-free, there is a lot to like about the Odyssey for everyone in the family. The available Honda Sensing suite of driver-assist features helps drivers drive better and safer on the road. 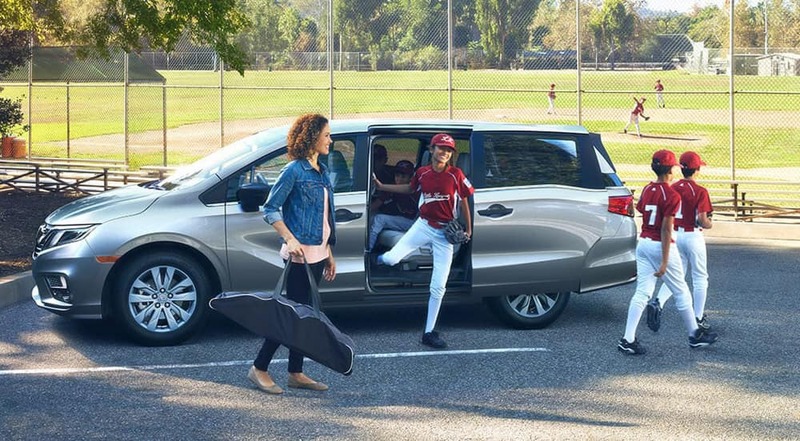 An available HondaVAC vacuum in the cargo area can make keeping the Odyssey’s interior clean much easier, no matter what the kids are tracking in. And with an available rear entertainment system, long journeys become much more pleasant for everyone. Visit your nearest Central Illinois Honda Dealer today to find the Honda Odyssey model that is right for you, your budget, and your family’s needs. Explore current offers and financing options, and contact us to schedule some time behind the wheel of this award-winning, user-friendly minivan today.